Nearly all insurance policies contain a clause entitling the insurer to take an examination under oath (EUO) of the insured. In North Carolina, the provision is most commonly invoked in the context of homeowner’s insurance claims. For the vast majority of property damage and personal property claims, the insurer will pay for the loss based upon a sworn statement of loss. However, if the insurer suspects the claim may be barred or limited by the terms of the policy, or that the insured is making a fraudulent claim, it will invoke its right to take an examination under oath. If your insurer has requested to have its lawyer take your EUO, you should contact an attorney immediately. 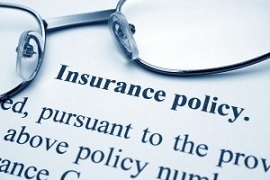 The Raleigh insurance coverage lawyers of Maginnis Law can assist with your examination under oath. To speak with one of our attorneys, call 919.480.8526. An examination under oath is similar to a deposition. The insurer retains a lawyer who receives and reviews the company’s file and then usually investigates your claim a bit further. After they have done so, they will notice the examination under oath for a specific time and place (usually the attorney’s office). The EUO itself will involve the attorney asking you questions for a period of up to several hours. A wide range of topics may be discussed but you can expect most of the questions to pertain to the circumstances of the loss and value of the property. The questions and answers are recorded by a transcriptionist. Once the examination is over, you will receive a copy of the transcript and will have an opportunity to make minor changes. If you have no changes, you will then sign an affidavit that the transcript is true and correct. The insurer’s attorney will then usually make a recommendation as to whether to admit or deny the claim, and you will receive the insurer’s ultimate determination. If the claim is denied, you may be forced to file suit for breach of contract. One of the important things to understand is that a failure to appear for an EUO can lead to a denial of coverage for failure to cooperate. Therefore, it is critical that you submit to the EUO. You should, however, consult with an attorney prior to the examination. You are entitled to be represented at the EUO, even though your attorney is somewhat limited in what he or she can do. While he or she can provide advice, they cannot object on an evidentiary basis or ask you questions, as they could at a deposition. Nevertheless, your attorney may be able to help you understand your insurance coverage and what the insurer may be concerned about. The insurance attorneys of Maginnis Law represent clients in disputes with insurers under a number of different types of policies, such as homeowners, inland marine, and general commercial. Depending upon the specific facts of your case, we offer a variety of billing arrangements, including hourly, flat rate, contingency, and combinations of these. Initial consultations are offered free of charge. To discuss your upcoming examination under oath and/or insurance coverage dispute, contact attorney Shawn Howard at 919.480.8526, Ed Maginnis at 919.526.0450, or send a confidential email using our contact page. Maginnis Law routinely represents clients with insurance coverage issues throughout North Carolina, including: Raleigh, Durham, Wake Forest, Cary, Chapel Hill, Greenville, Fayetteville, Sanford, Greensboro, and Winston-Salem.